You’ll be driving alone in no time! You’ve done everything required of you to be able to take the driver’s test to get your license. You’ve gotten your permit, practiced and taken the written test. 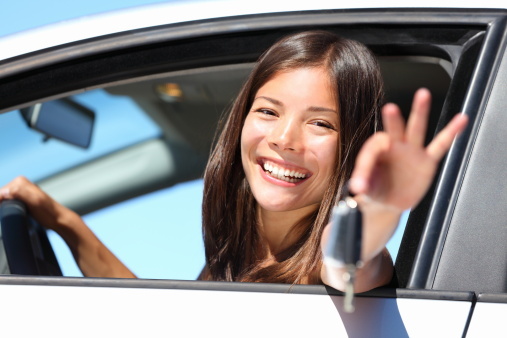 All that you need to do is complete the road test, and you’re home free! So, how do you prepare? Know the area. You’ll know the location of your test long before you take it. Go through the area around the location and observe the speed limits, stop signs, crosswalks and any other potentially tricky situations that might come up like school zones or bicycle lanes. You’ll also be more relaxed during your test when you’re better acquainted with the area. Keep practicing. There is no such thing as too much practice. Get as many hours as possible in before you schedule your road test, so when you take your test, driving is not as intimidating. Study New Mexico driving laws. During the test, you may be required to know certain traffic laws and demonstrate understanding. Being very familiar with the laws beforehand will make your test easier. Prepare everything in advance. Before your test, make sure you have your permit, your documents (proof of residency, birth certificate, etc.) and other necessities together so you’re not scrambling at the last minute. You might even consider getting your clothes together the night before. All this preparation is meant to make your testing day easier, less stressful and as smooth as possible. Going into the test relaxed will do wonders for your confidence while you’re driving. Think you’re ready to pass the road test? Schedule your appointment at MVD Express today. Contact us when you feel ready to take your test, whether it is for same-day appointments or for one in a few weeks. Whatever works best for you. We’ll get you in, done and on the road in no time!